Hotel Riyasat has a homely exterior and a welcoming interior. 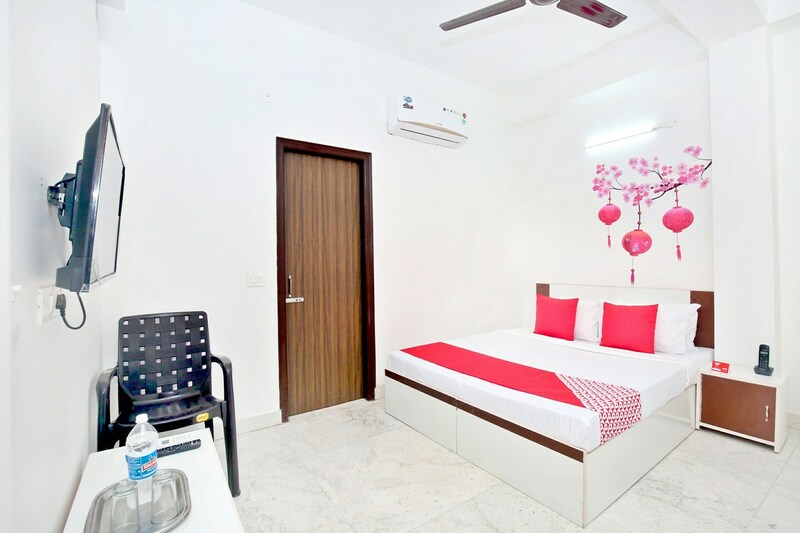 The rooms have unique designs, appealing to the guests. The accent wall is done in decals which makes the room look beautiful and adds a chic touch to it. The windows let in the sunlight making the space bright and attractive. The curtains also stand out and makes the room vibrant. The washrooms are also contemporary in style and well-maintained, equipped with basic amenities. The hotel offers laundry and parking facilities to its guests. The property also has power backup and CCTV cameras.